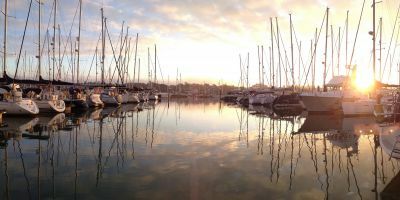 Port Hamble is a nicely sized marina with just over 300 berths. It comes with an on-site chandlery and lifting and boat storage. Laundry facilities are also available. Wi-fi is accessible throughout the marina and is free. Fuel can be found at the end of dock B.
Hamble, or Hamble-le-rice as it’s official name goes, is a small village famous for being an aircraft training centre in the Second World War. It’s a Mecca for yachters, offering easy access to the River Hamble. The village and river also featured on BBC’s Howards’ Way in the 1980s. Hamble has been around for centuries, with an old Iron-Age fort just to the south. There is also St Andrews castle in the village, dating to the reign of Henry VIII. The structure was intact for as late as the 17th century. The old runaways from the training centre are now either overgrown or built upon. Aside from the excellent countryside around the village, there are a number of attractions within the village itself. Some of these include visiting the aforementioned Forts and Castle ruins, to take in some local history and culture. IF that’s not your thing, Blue Box offer great sailing tours up and down the River Hamble. The instructors, Will and Rich, are super friendly are will happily answer any and all questions regardless of how naïve they are. It’s very professionally conducted and organised. As far as food and drink goes, there’s really only one place that you could to in Hamble. The Royal Bengal. This restaurant offers Indian style cuisine in an extremely friendly and welcoming environment. Just ask any of the locals. They also serve up shots after the meal as a bonus. A good way to make the customers feel valued. If you really can’t manage Indian every night, or at all. There’s always the Blue Star Café. They offer typical café food served to a high standard. The views from the café are amazing as it sits alongside the river itself. The café is always busy, so it’s a clear sign that it’s a favourite of the locals too. Southampton Airport is the closest to Port Hamble, sitting just 20 minutes away along the M27. 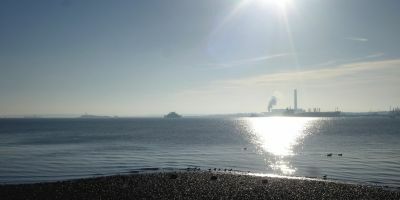 A train can be taken directly to Hamble itself, leaving you only a 25 minute walk away from the Port and marina. Travelling to Southampton in the North will leave you 20 minutes from Hamble on the M27 or by Satchell Lane.